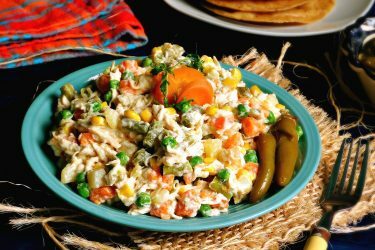 A traditional Mexican salad that's both easy whip up and delicious! 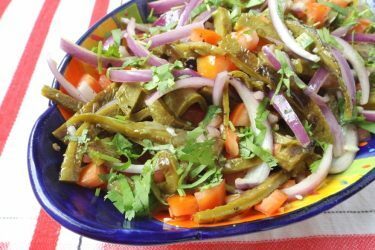 This mouthwatering recipe of aguachile de palmito is the vegan version of a popular Mexican dish similar to ceviche. In fact, you could add shrimp or any other type of seafood to this recipe should you wish. It's a refreshing dish, with few ingredients, perfect for an appetizer, a side dish, or to serve to your vegan or vegetarian friends. Serve over tortillas with slices of avocado, or enjoy it just by itself. Drain the liquid from the can of hearts of palm. Cut them in half lengthwise, then in smaller chunks. Peel the cucumber, cut them in half. 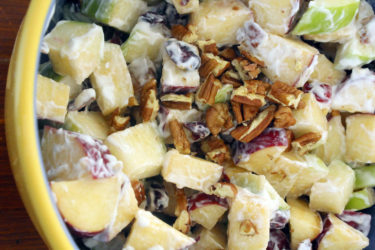 With a spoon, remove the pulp and seeds from the center. Cut the cucumber in thin slices. Reserve the seeds for later. 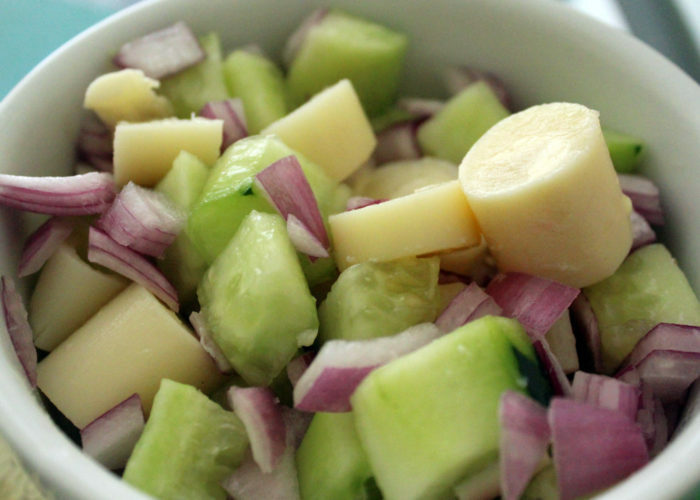 In a large bowl, combine the hearts of palm, 1 cup of cucumber and onions. In a blender, mix chile serrano, lemon juice, 1 cup of cucumber, the seed and pulp of the cucumber, and the cilantro, until a liquid consistency is reached. Pour liquid mix over the palmitos. Season with salt and pepper. Refrigerate for 15 minutes. Serve over tostadas, a slice of avocado, then place the palmito mix over it.